Marta has a Ph.D. in Political Science from Humbolt University Berlin (2007). 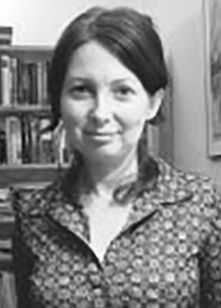 Her work focuses on civil society organizations (CSOs) as political actors, particularly in the transnational context. She is also interested in issues related to CSOs and governance (organizational and societal), and the relationship between the different organizational spheres in society, particularly civil society and the state. At the moment she divide my time between the SCCSS and the Department of Political Science at Stockholm University where she work as researcher and lecturer. Marta is also affiliated with the Stockholm Centre for Organizational Research (Score). Her current research projects focus on (a) transnationalization and institutional change in civil society (grant from Riksbankens Jubileumsfond in 2009); (b) audit practices in the field of elderly care in Sweden (grant from Riksbankens Jubileumsfond in 2014); and (c) competing institutional logics in think tanks (grant from the Ragnar Söderberg Foundation in 2015). Reuter, M., F. Wijkström and B. Kristensson Uggla (2013, eds.) Trust and Organizations: Confidence Across Borders. New York: Palgrave Macmillan. Kristensson Uggla, B., Reuter, M. & Wijkström, F. (2012). Förtroendet i teori och praktik. In: M. Reuter, F. Wijkström & B. Kristensson Uggla (eds.) Vem i hela världen kan man lita på? Förtroende i teori och praktik. Lund: Studentlitteratur. Reuter, M., Wijkström, F. & Kristensson Uggla, B. (eds., 2012). Vem i hela världen kan man lita på? Förtorende i teori och praktik. Lund: Studentlitteratur. Reuter, M. (2011). Independent Watchdogs or Integrated Policy-Makers? Civil Society Participation in the Hybrid Governance Environment Around the Baltic Sea. In: F. Wijkström & A. Zimmer (eds.) Nordic Civil Society at a Cross-Roads. Baden-Baden: Nomos. Eriksson, J., Karlsson, M. & Reuter, M. (2010). Technocracy, Politicization and Non-involvement: Politics of Expertise in the European Regulation of Chemicals, Review of Policy Research, 27 (2). Eriksson, J., Karlsson, M. & Reuter, M. (2010). Scientific Committees and EU Policy: The Case of SCHER. In: J. Eriksson, M. Gilek & C. Rüden (eds.) Regulating Chemical Risks: European and Global Challenges. Dordrecht: Springer. Reuter, M. (2010). Sparbankrörelsens ansvar och det transnationella rummet. In: F. Wijkström (ed.) Idéer för framtiden. Tankar på vägen in i det nya sparbankslandet. Stockholm: SparbanksAkademin. Reuter, M. (2007). Networking a Region into Existence? Dynamics of Civil Society Regionalization in the Baltic Sea Area. Berlin: Berliner Wissenschafts-Verlag. Reuter, M. (2005). Götz, N. & Hackmann, J. “Civil Society in the Baltic Sea Region”, Journal of Baltic Studies, 36 (3) [book review]. Reuter, M. (2005). Introduction. In: C. Gicquel, V. Makarov & M. Zolkos (eds.) The Challenge of Mobility in the Baltic Sea Region. Berlin: Berliner Wissenschafts-Verlag. Reuter, M. (2004). Fear of the Other and the Emergence of Regional Identity in the Baltic Sea Area, in: J. Hecker-Stampehl, A. Bannwart, D. Brekenfeld & U. Plath (eds.) Perceptions of Loss, Decline and Doom in the Baltic Sea Area. Berlin: Berliner Wissenschafts-Verlag.